"Linda's amazing story of adventure, faith, and healing is a journey not to miss. The powerful impact of her musical ministry in the French-speaking world testifies to her creative, inspired work in bringing thousands to worship Jesus Christ as Savior and Lord." William Phemister, Professor Emeritus of Piano, Wheaton College Conservatory of Music "You don't always know when you are encountering a young world-changer-in-the making. But the Spirit of God spoke so clearly to me way back in 1968 about 'the red-haired girl' that I met in Iowa. I knew there was something special that He had placed within her to give to the world. 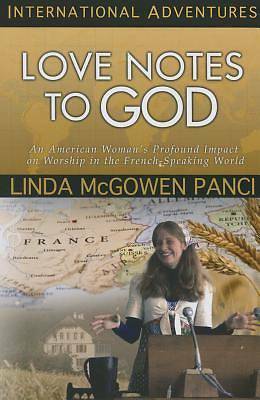 I often prayed for her when Loren and I moved to Lausanne, Switzerland, in 1970and it paid off That red-haired girl came to YWAM and went on to bless the French-speaking world through writing and publishing life-giving worship music. You will be encouraged as you read through Linda's journey.